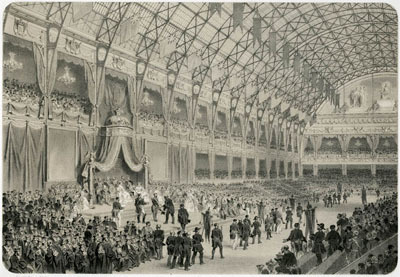 In 1855 Berlioz participated in two ways in the Exposition Universelle, first as member of a jury which assessed musical instruments at the exhibition, then as organiser and conductor of three large-scale concerts. 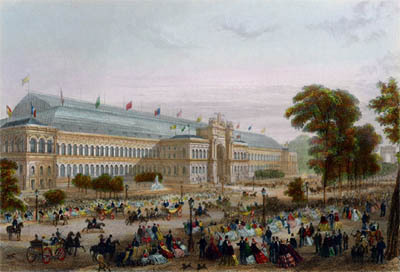 The Exposition Universelle of 1855, held on the Champs-Élysées in Paris from 15 May to 15 November, was designed by Napoleon III as the counterpart to London’s Great Exhibition of 1851, the first of its kind, and the monumental Palais de l’Industrie was constructed in emulation of London’s Crystal Palace. 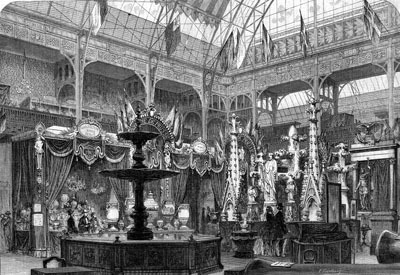 Prince Napoleon, the cousin of the emperor, was in overall charge of the organisation of the exhibition, which attracted vast crowds. 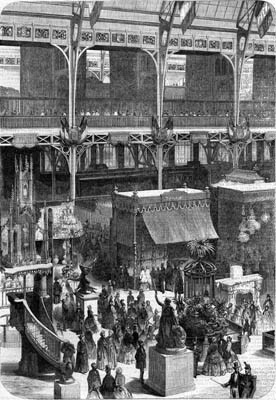 Berlioz participated in both exhibitions in the first instance as member of an international jury which was set up to assess the musical instruments exhibited by their manufacturers (our English translation of his report on his work in 1851 is reproduced elsewhere on this site, as is the original French text). His work as juror in 1855 kept Berlioz busy for much of August and September, and he eventually published his report in the form of feuilletons in the Journal des Débats in three instalments, on 9 January, 12 January and 15 January 1856. Berlioz lists in the second of these articles the medals awarded to the successful contestants; we possess in our collection the two medals that were awarded to the manufacturers Alexandre père et fils. […] We are making progress in this deadly chore of assessing musical instruments, though it is going to keep us busy for at least another week. And what scenes now! what fury! what despair! The exhibitors are coming to blows in the foyer of the Conservatoire while we are holding our sessions; they scream that this is barbaric, that we want to ruin the famous companies and raise new ones on their ruins! Mme Érard is in despair. The day before yesterday Halévy, who has relatives with interests in Pleyel’s business, wanted us to state that we had placed Pleyel hors concours because he is too far above the others, when the exact opposite is the truth. 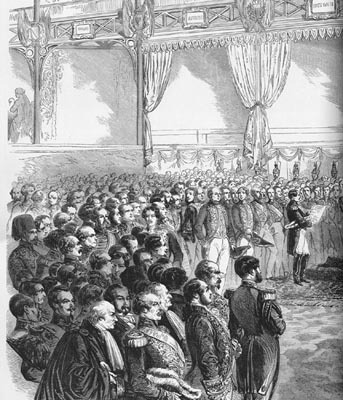 To get the others to share my views I had to speak out vigorously against this strange proposal, and Fétis was the only one to give me support. In the end justice and commonsense prevailed. The expenses are being met not by the government but by an entrepreneur [Ernest Ber], who was not prepared either to take on this burden without my collaboration. The large programme selected by Berlioz included excerpts from his own music: three movements from the Te Deum (Te Deum laudamus, Tibi omnes, and the concluding march), which had received its first performance earlier that year at Saint-Eustache, the last movement (Apothéose) of the Symphonie funèbre et triomphale, and the cantata in honour of Napoleon III, L’Impériale which now received its first performance. Also included were the overture to Weber’s Der Freischütz, a scene from Gluck’s Armide, the last three movements of Beethoven’s fifth symphony, the prayer from Rossini’s Moïse en Égypte, the Blessing of the Daggers from Meyerbeers’s Les Huguenots, Mozart’s Ave verum and the chorus ‘See the conquering hero’ from Handel’s Judas Maccabæus. This programme should be compared with that of the similarly grand concert he gave at the Festival de l’Industrie a decade earlier, on 1 August 1844. 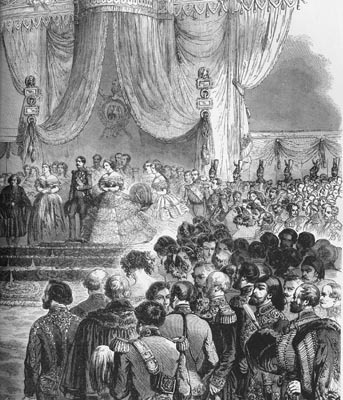 In the 1855 concerts, the full programme was only performed at the concert on 16 November, the day after the ceremony when there was only time for part of L’Impériale and the Apothéose; the whole programme was repeated at the third concert on 24 November. […] I am writing these six lines to tell you that I am now in command of two victorious battles. Yesterday and the day before my huge orchestra worked like a quartet. Yesterday in particular, before a crowd such as has never been seen in Paris. (The receipts amounted to over sixty thousand francs!) 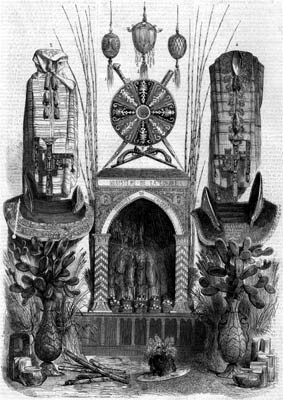 As for the magnificence of the imperial ceremony, the sight of this Babylonian hall decorated like the palace of Aladdin; and as for the sight of this audience of forty thousand spectators, these uniforms from every country arranged in tiers on a triple amphitheatre, these chandeliers, these trophies, this buzz of enthusiasm which rolled like the sound of the sea — I will not attempt to convey this to you. I know that the emperor and Prince Napoleon, who were so apprehensive about the success of my project, are very satisfied. I will probably be seeing the Prince this evening at the reception given by the Prefect of the Seine. After the third concert Berlioz wrote again to Liszt briefly: ‘The last concert was magnifique. Thanks to my electric metronome I literally held in my hand this immense musical mammoth’ (CG no. 2056, 30 November). The reference is to the electric metronome he used to maintain the ensemble with several sub-conductors. 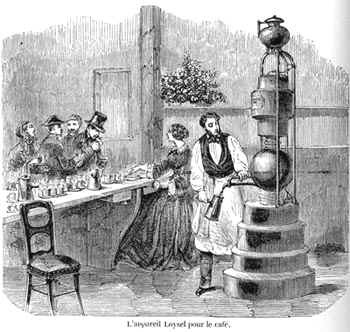 The device had been newly created by the Belgian inventor Verbrugghen, who had come from Brussels to Paris at Berlioz’s request to install the equipment. The use of this instrument was seized upon by the press: a cartoon in the satirical paper Charivari of 2 December 1855 depicts ‘M. Berlioz making use of his electric baton to conduct an orchestra with the players located in all the regions of the globe’. In the event Berlioz had to wait many years for the award: it was only given to him in August 1864. All the pictures reproduced on this page have been scanned from 19th century engravings, photos, newspapers (notably 1855 issues of L’Illustration), books, medals and other items in our own collection. © Monir Tayeb and Michel Austin. All rights of reproduction reserved. The Palais de l’Industie was built in 1853 by the architect Vial, on an open space used until then for recreational activities, to house the 1855 Universal Exhibition. It was an imposing building of 200 meters long, 47 wide and 35 high, with 408 windows, facing the Elysée palace, on what is now partly occupied by the Avenue Alexandre-III. 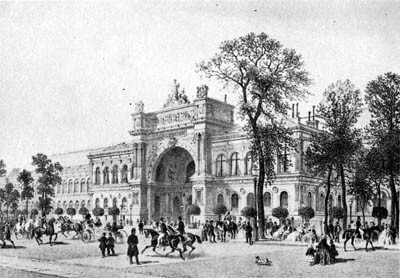 Inaugurated on 1st May 1855, the building was also used later for the Universal Exhibitions of 1878 and 1898, and then was used until 1897 for various other exhibitions and public celebrations. 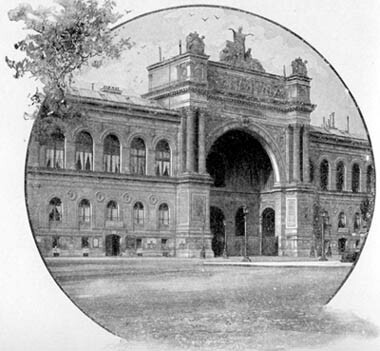 It was demolished for the Universal Exhibition of 1900; part of the Grand-Palais, the Petit-Palais, Place Georges-Clemenceau and the Avenue Alexandre-III now occupy its site (from Jacques Hillairet, Dictonnaire historique des rues de Paris, vol. A/K, p. 299). The above engraving was published in Le Monde Illustré on 5 March 1859. 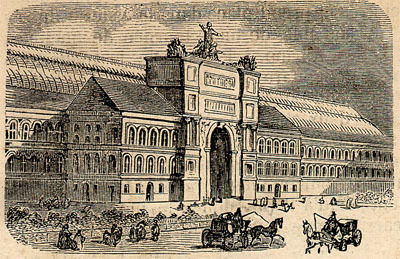 This 1860 engraving has been scanned from Jacques Hillairet, Dictonnaire historique des rues de Paris, vol. A/K, p. 298. 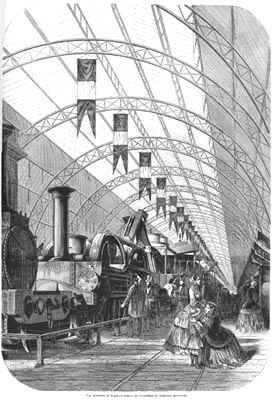 This 1860 engraving has been scanned from Harmsworth History of the World, volume VII (London, 1909, p. 5017). 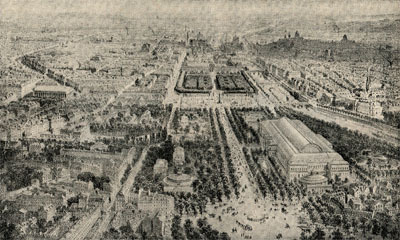 It shows the Palais de l’Industrie by the Avenue des Champs-Élysées, leading up to Place de la Concorde (and its Egyptian obelisk from Luxor), and beyond it the Tuileries Gardens and the Louvre. The Madeleine can also be seen in the picture, to the left of Place de la Concorde. This lithograph was designed and engraved by Philippe Benoist and Auguste Bayot, and published by Nantes, Lith Charpentier Edit – Paris Quai des Augustins, 55. This emblem could have been cut out from a programme, or something official; the name of the lady who owned it, and who was the great-grand-mother of the person from whom we purchased the item, is written on the back.